We recruit enterprising, talented and ambitious team players who share our commitment to providing the highest possible level of service and added value to our clients. Our team has outstanding academic and professional qualifications, and we expect each of them to contribute to the collegial and supportive atmosphere that we cherish in the Moscow office. The Firm recognizes that our employees spend a significant part of their everyday lives at the workplace. That’s why we provide excellent benefits and maintain a positive and friendly work environment, support ongoing personal and professional development, and reward outstanding achievements. Russia’s market has been a key facet of White & Case’s global development since the early 1990s, guiding Russian and international corporates, banks, funds and governments through a diverse range of challenges, as well as opportunities. We work at the very heart of a vibrant and complex multijurisdictional market, demanding reliable lawyers with highly nuanced local-market knowledge who understand this constantly evolving legal landscape. Our lawyers provide pragmatic commercial insight, matched with innovative solutions gained from a quarter of a century of hands-on experience, both locally and globally. We are also very proud to be active in our community through a diverse range of pro bono activity and charitable initiatives. At White & Case, we believe that renewal is essential for our growth and development, both globally and in specialized national markets. Our clients benefit from the diversity, vitality and new perspectives of high-achieving individuals beginning their career journey with us. Our law students and associate trainees share common characteristics. They are passionate about law, with top academic results to back up their enthusiasm. Both creative and analytical thinkers, they are committed to their own professional growth and have the self-motivation and proactive approach that will enable them to achieve their ambitions. Being able to be an effective team member is important, as is fluency in both written and spoken Russian and English. Download our recruitment brochure to learn more. If you are interested in joining our team, please view the opening vacancies with described requirements here and submit your application in English. Please prepare your resume and cover letter in English, stating the reasons why you would like to apply to work with us. The interview process usually includes in-person interviews with our HR team, lawyers and partners to enable us to get to know you and allow you to get a feel for our working environment. Interview questions include a mix of general motivational and legal questions. You will also be given a legal research assignment in our office. The selection process takes approximately one month. I joined the Moscow team while still a student in law school. It was during this challenging time when I first experienced the support and commitment extended by all White & Case lawyers. I truly appreciate White & Case has provided me with a great opportunity to work on major and complex cross-border disputes with a top-class team of bright and talented professionals based in the Firm’s worldwide chain of offices. It was the attitude of White & Case’s employees to summer students that surprised me the most, their helpfulness and the quality of the assignments. During the internship I was able to see and experience what it is like to work at a legal firm. I did a lot of independent work and gained a better understanding of the qualities you need to develop, to thrive and succeed in a legal firm. The White & Case Moscow office will run a Summer Program from 1 July to 30 August 2019. 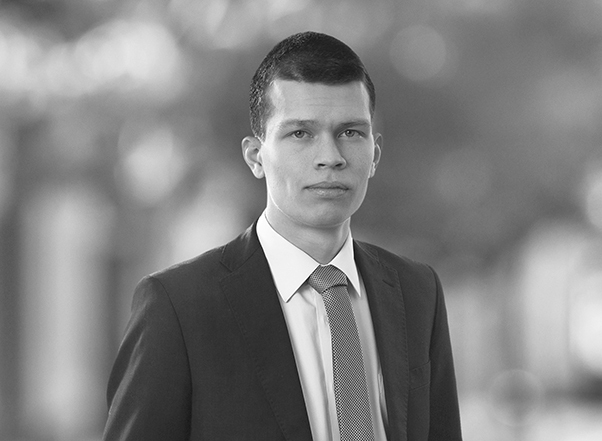 The cornerstone of our graduate recruitment efforts, this program is designed to give Russian law students insight into what it's like to be a White & Case lawyer. You’ve worked hard to get where you are, and you want to choose exactly the right firm to launch your career. Our Summer Program is tailored to make the most of your skills and ambition. We provide real work with real deadlines for real clients. You would have the opportunity to work in two practice areas of interest to you. We want you to get to know our people because they are the biggest indicator of what your full-time experience will be like. You will work hard, learn a lot through our training program and your work assignments, and also have plenty of opportunities to get to know our lawyers and your peers at social events. Training program: The training program is intensive, and the requirements for trainees are high. Your training will be combined with work on specific individual projects and practical tasks set by mentors and lawyers at White & Case. At its core, this is what the program is all about—to immerse you in an environment as close as possible to that of our workplace and to give you a chance to see if we are the right match for each other. The training program is based on a module principle. The first two weeks are devoted to a review of priority skills and the Firm’s software, including office applications and hardware. Summer trainees are introduced to the overall structure of the Firm, its history and traditions, professional standards, corporate culture and interoffice rules. After this comes practice group weeks, overviews, interactive seminars and intensive self-sustained work. Social events: We have a variety of social events, which are key to the Summer Program because they allow you to get to know your fellow summer law students and our lawyers in a casual and relaxed environment. We believe that a truly well-developed person continually broadens not only their professional but also their personal horizons. It’s also a great opportunity for students to make friends and to have fun together. We try to acquaint you with distinctive places that are truly unusual and meaningful in modern culture. It is symbolic that most of the museums and culture centers we visit are our pro bono clients. In this way, we acquaint our students with examples of our pro bono practice and help instill in them a culture of pro bono legal services. Back in 2014, we launched a Summer Theatre Laboratory in collaboration with cutting-edge stage directors and artists. Along with summer law students, the cast includes lawyers and business services personnel. The lab involves team-building, skills development and a lot of fun! Who is your favorite influencer/ writer/ poet/ film or drama director and why? Or what is your favorite book/ film/ performance/ blog etc. and why? Are there any differences between your generation and others? What would motivate your generation to go the extra mile, do whatever it takes to put an idea or project into life? Compensation: We offer competitive salaries to our summer interns. More information on compensation will be provided during the interview process. Interview process: Our interview process usually includes in-person interviews with HR team, lawyers and partners to enable us to get to know you and allow you to get a feel for our working environment. Interview questions represent a mix of general motivational and legal questions. You will also be given a legal research assignment in our office. The selection process takes approximately one month. Since 2002, our Moscow office has organized and sponsored the Russian National Round of the Jessup International Law Moot Court Competition. Participants from various cities and regions have the unique opportunity to try their hand in mooting (both in preparing written arguments and delivering oral presentations) and meet Russian and foreign professional lawyers and judges, diplomats and academics. Launched in 2005, the Moscow office lecturing program includes ten lecturing courses on basic lawyering skills, an overview of key law practices and fundamentals of the English law system. The program is a four-day interactive course taught in English. It addresses a wide range of topics including regulation of the legal profession, proper screening and engagement of clients, conflicts of interest, confidentiality and disclosure, anti-corruption, issues particular to in-house lawyers, corporate social responsibility and pro bono legal assistance. In implementing our University Lecturing Program, we work in close collaboration with four leading Russian universities, empowering our lawyers to pass on their wealth of knowledge to a new generation of young law students, as well as supporting a wide range of educational initiatives across the region. Legal education in Russia has longstanding traditions and history and is recognized for providing an excellent foundation in legal fundamentals. 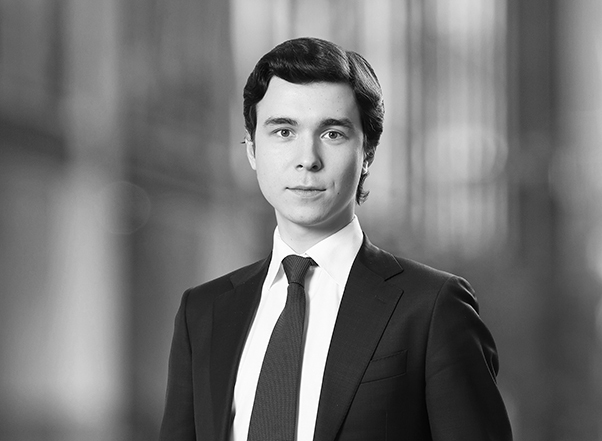 At the same time, modern law practice in Russia has matured over the last three decades, making practical legal skills even more critical for young lawyers. 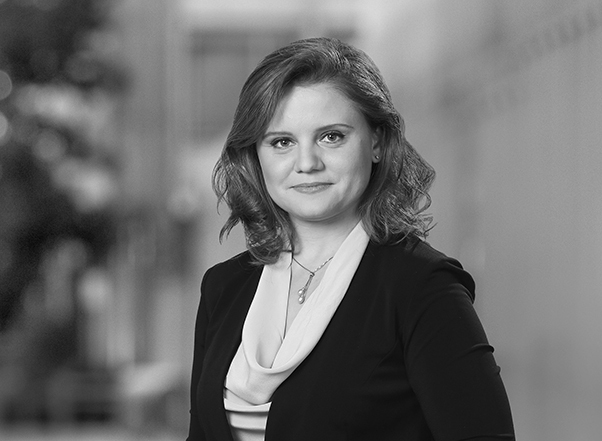 Academic legal education in Russia has been gradually evolving to meet the needs of international commercial law practice, and our Moscow office plays a central role in this transformation. The University Lecturing Program was launched in 2005. Each year Moscow office lawyers deliver 11 to 16 lecturing courses in four leading Russian universities: Lomonosov Moscow State University (MGU), Moscow State University of International Relations (MGIMO), National Research University Higher School of Economics (HSE) and Kutafin Moscow State Law University (MGYuA). Annually, up to 1,000 students attend White & Case lectures on a regular basis (in addition to numerous visitors to our open lectures for career days and students’ conferences). We are proud that 80 percent of our courses have already been integrated into the universities’ curriculum, and some are even mandatory for certain specializations. Over recent years we have signed two cooperation agreements with some of our key universities—this brings our partnership with them to a brand new level. White & Case lawyers are always invited to take part in the final state examination commissions for bachelor students at MGU and MGYuA. About 25 Moscow office lawyers (both partners and associates) contribute to the University Lecturing Program annually: They deliver lectures, arrange practical exercises or master classes, create case studies and conduct final exams. We are truly committed to the development of legal education and support a whole variety of initiatives ranging from international moot court competitions, national contests and conferences to practice-oriented courses taught by our lawyers and tailor-made internship programs. Download our University Course Descriptions to learn more.